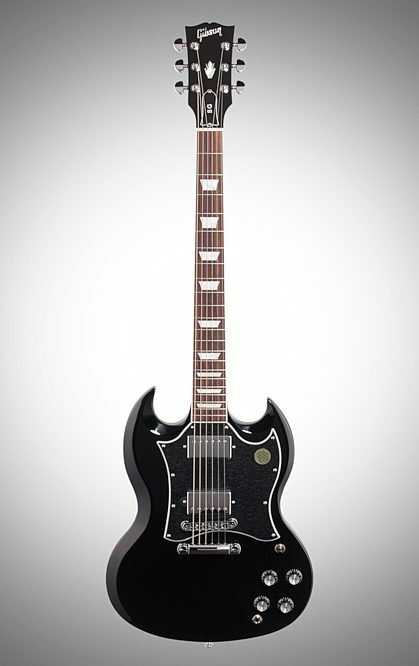 The Gibson 2019 SG Standard Electric Guitar embodies the essential SG features and materials from the late 60's era which helped make the SG model a legend. It has a higher level of craftsmanship and appointments and materials (high gloss nitro finish, premium hardwoods and electronics). It appeals to those who desire the legendary, late 60's style SG model. 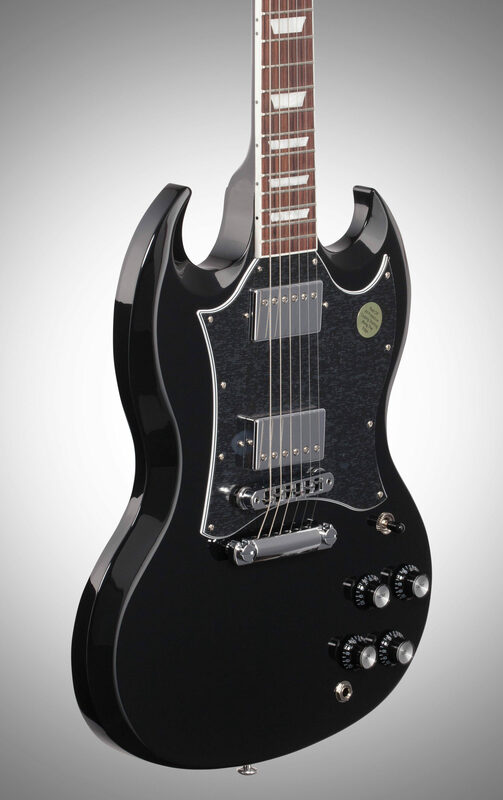 All the iconic SG features are here, including 5-ply full face pickguard loaded with classic Gibson 490 (R&T) pickups and high gloss nitro finish. 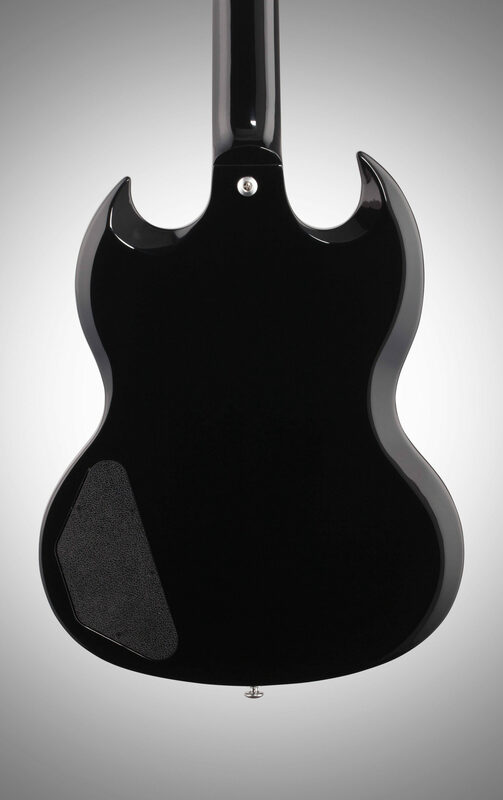 - End of Board Width: 2.26"
Overall: Best sounding guitar I have. Out of the box it was nearly perfect! The case you get is nice too! 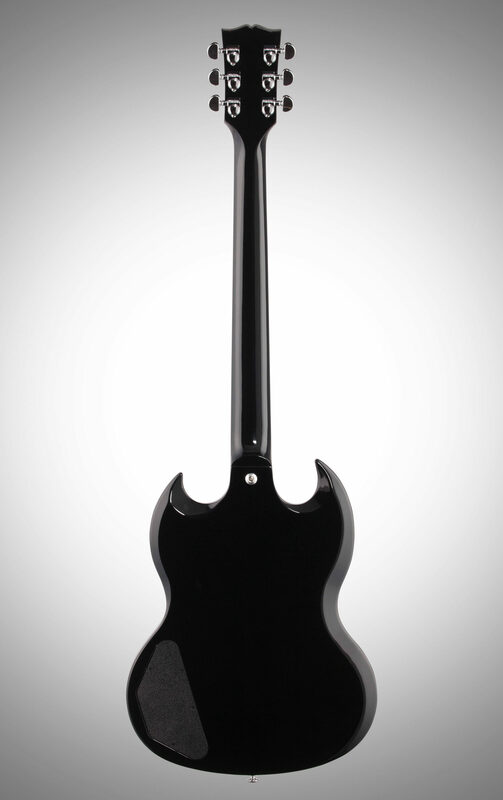 The pickups are hot and I can do anything from Led Zeppelin to Metallica tone wise. Absolutely well worth the money. 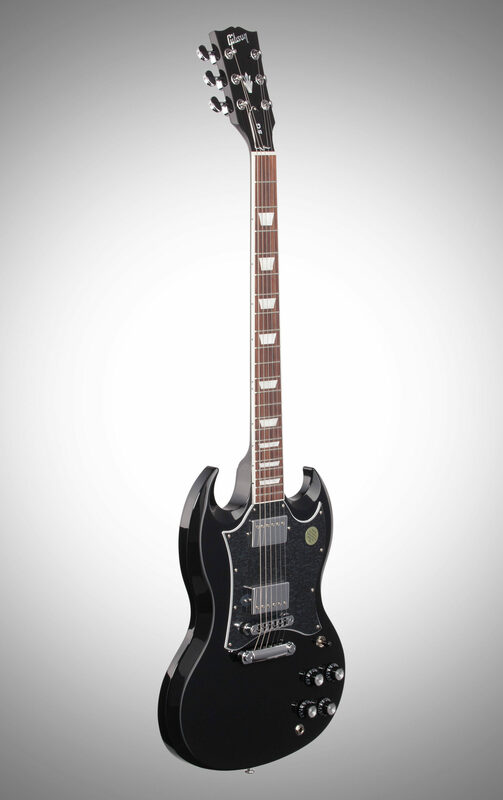 All I had to do was lower the action a little bit for my playing style, but it is well a 5 star guitar. Style of Music: Anywhere from Led Zeppelin to Pantera is the best way I can describe it. I love hard rock/heavy metal. 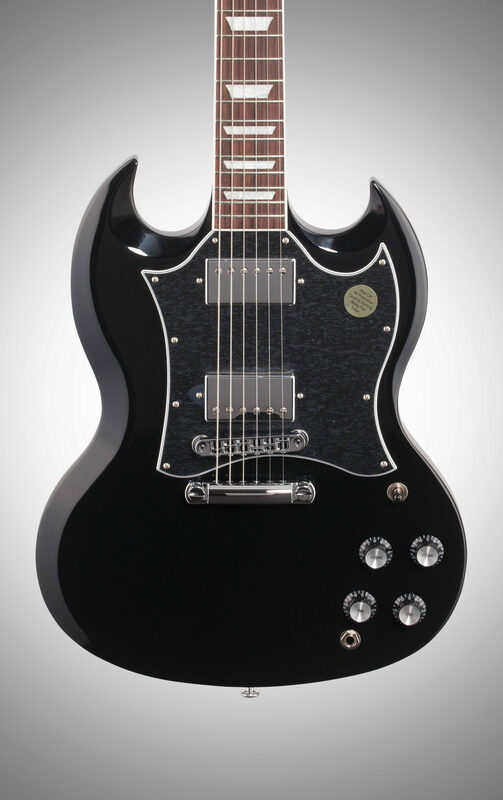 Overall: This is an excellent guitar. It's like a pretty woman sitting on your lap. 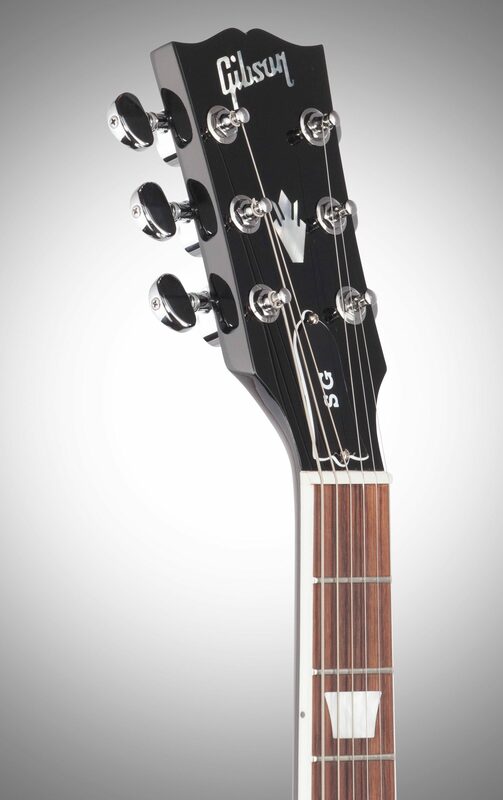 Curves in the right places and makes some sweet sounds. Color is perfect. Action was good out of the box. Well worth the price. close [x]BlemishedThis is typically a customer return with minor cosmetic imperfections, such as superficial scratches or scuffs on the finish. This inventory includes all parts, components, manuals (hard copy or downloadable). It has been tested to manufacturer's specifications and is guaranteed to work perfectly. It may be less attractive than Warehouse Resealed inventory, but it's priced even lower! 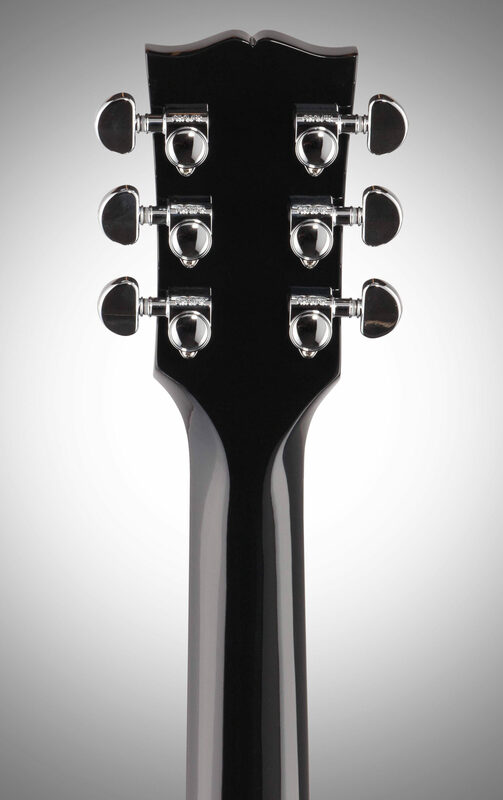 Gibson does not offer a manufacturer's warranty on Blemished products. This inventory is a great value.